So I read an article tonight promoting the “20th Anniversary, one night only, re-release of The Bodyguard” and it got me thinking… Would they be doing this event if Whitney Houston had not just passed away? 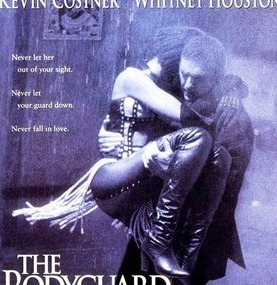 I have to think no… but was The Bodyguard worthy of a special re-release without the recent death of its star actress and soundtrack singer? After doing some research I found out that the movie did over $400 million dollars when it was originally released 20 years ago, and the soundtrack was the top selling soundtrack of all time selling 12 million albums in the United States alone. Pretty good numbers for that time… but, does that render it worthy of a “one night only re-release’? I’ve seen The Bodyguard…. good story… predictable… but good story. Didn’t find it to be an overly amazing film that I needed to watch once a month just to get my fix (see Top Gun, Old School, and Remember the Titans). But is this just a money making ploy for the production company? Obviously you can’t help but be skeptical after what has transpired over the past few weeks with Whitney Houston’s death…. it doesn’t take a rocket scientist to put those numbers together. And, along with the one night release in theaters, the 20 year anniversary DVD is set to be released as well… Why? Does something different happen 20 years later? I’m pretty sure its the same story… boy is hired to protect pop diva… pop diva is a pop diva… pop diva starts to get soft and fall for boy… boy saves life… boy and diva fall in love… i’ve seen it a million times.. true love, just like it happens every day. Unfortunately I can’t sing like the pop diva.. nor am I ready to jump in front of a bullet for anyone… so I guess my life story won’t be hitting the silver screen anytime soon. And yes I know they add extras… the music video, the alternate ending, the directors interview (always scintillating cinema). All of the aforementioned could have been part of the original DVD release… but then how would they make a profit 20 years later? I know this is not the first superstar that has had the post death, nor will it be the last, but it sparked my interest in the topic. Tupac Shakur, Michael Jackson, and now Whitney Houston… lives lost too soon but ones that made a lot of people a lot of money posthumously. Right or Wrong, it has become the norm unfortunately. And, as long as society keeps putting money into the “machine”, that industry will keep right on running… all the way to the bank. This entry was posted in music and tagged music, the bodyguard, whitney houston. Bookmark the permalink.